If you’re like us, you’ve been using every excuse you can think of to be outside and enjoy the spring sunshine. With the greening grass, the spring flowers showing off their annual flamboyance, and the strikingly bright shade of blue in the sky, spring makes us appreciate nature in a unique and wonderful way. And that’s why we are thrilled to pay homage to our planet this Saturday on Earth Day. And in case you need some inspiration, here are some of our favorite reasons why you should spend some time outside celebrating the Earth on its special day. It feels good. And it’s not just in your head. Your mental wellbeing gets a serious boost from spending time outside. 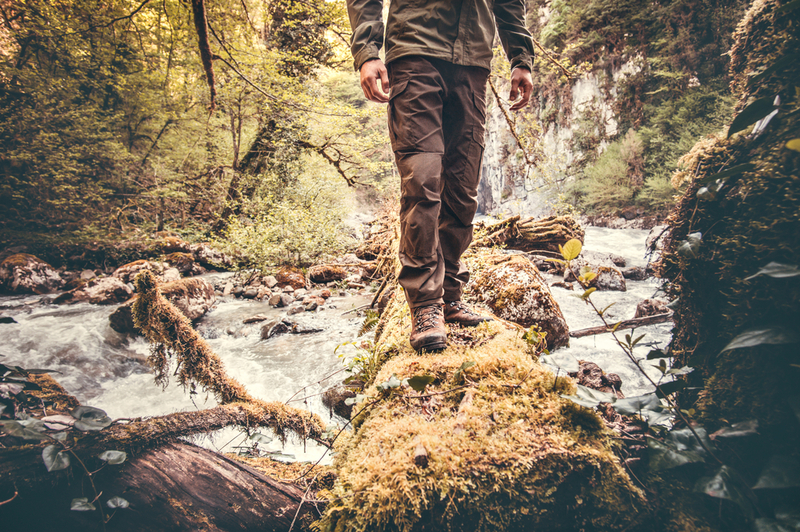 Being in nature has been linked to greater empathy and emotional stability, greater short and long-term attention spans, and an increase in the feel-good chemical serotonin (yes, that neurotransmitter that also gets a healthy lift from getting a massage). It’s naturally fortifying. Are you tired of hearing about vitamin D yet? Vitamin D gets a lot of hype simply because it really is that important. Vitamin D is necessary for your body to absorb calcium, thereby strengthening your bones and teeth. Also, vitamin D deficiency has been linked to depression, weight gain, certain cancers, autoimmune disorders, and heart disease. And the most effective way for your body to receive its daily allotment is through good old-fashioned sunshine from being outside. Aromatherapy abounds. You know how the smell of fresh-cut grass or a spring rain can make you feel instantly energized or relaxed? Smells are powerful mood boosters, and can even help to dramatically lower anxiety, focus your thoughts, or energize your mind. This is why we use only all-natural aromatherapy oils during our massages. Depending on your mood, or how you want to feel, our YOUtopia program allows you to cater every aspect of your massage to your liking – even down to the scent of your massage oil. The next time you’re in a nature setting, pay attention to how the different smells around you make you feel. It’s better for your eyes. If you’re one of the millions of Americans who spends most of your waking time in front of a screen, you could be setting yourself up for Computer Vision Syndrome (yes, it’s a real thing!). It turns out that your eyes can get a little too used to only focusing on objects two feet or less from your face, and this can result in vision problems, eye irritation, headaches, and dry or red eyes. When we go outdoors we tend to focus on far-away objects, while taking a break from screen-related eye strain. Frequent jaunts outside can help prevent or treat Computer Vision Syndrome. Whether you renew your efforts to recycle more, explore alternate, less-polluting forms of transportation, or simply take a long walk outside appreciating the earth’s beauty, we encourage you to celebrate your planet this Saturday. By respecting the earth you can show care and respect for your body, too. What a beautiful win-win.